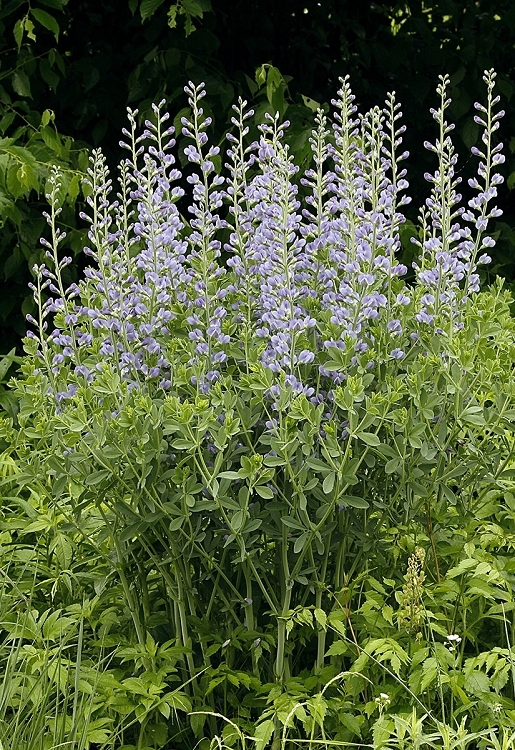 Attractive and different because of its smooth grayish-white stems and rounded leaflets. Blue flowers tower above the foliage. Looks good by itself as a specimen or in the background behind other species. 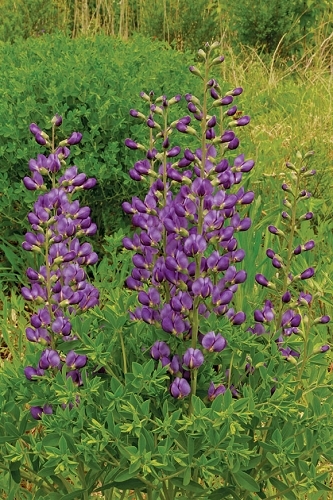 Blue wild indigo is a long-lived perennial; there is a 30-year-old plant growing in a sunny lawn in central Missouri that gets about 4 feet tall and 4 feet in diameter with many flowers each year. November and January for good results.